Moss Farm is a friendly, family-oriented neighborhood just inside of 635 and minutes from downtown. This special community offers an abundance of families, a blue-ribbon elementary school, an involved neighborhood group, and of course, the Moss Farm Alliance, an organization dedicated to creating a safe environment for everyone. 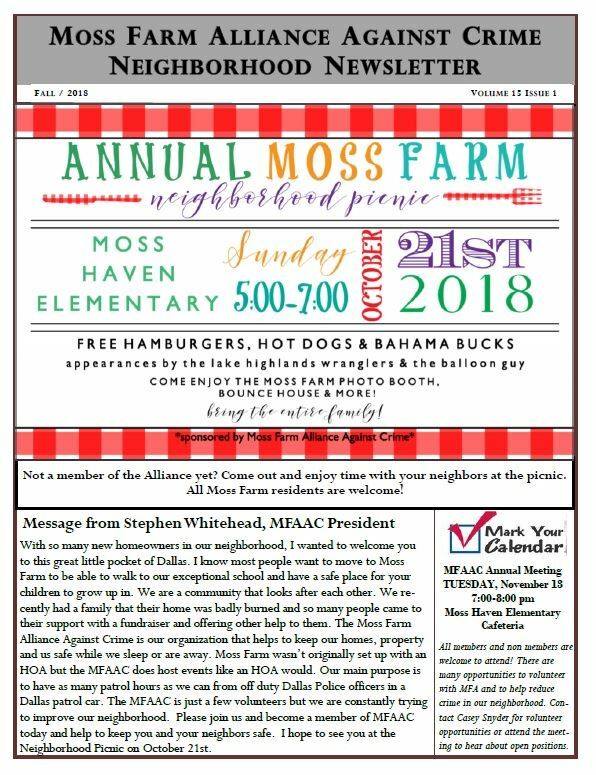 The Moss Farm Alliance is run by residents of the Moss Farm Neighborhood who volunteer their time and talents to make sure we are all safer. Membership is completely voluntary, but everyone benefits, so everyone should contribute.